The fastest, highest, longest and with greatest acceleration roller coasters on the planet. Come and discover them. Do you like excitement? To feel the adrenaline through your veins? If you are of those who love to go beyond limits and seek new thrills we recommend you this review of the best roller coasters on the planet. It is a short review where we will see the fastest, the highest, the one with the greatest acceleration and the longest roller coaster in the world. Formula Rossa, the world's fastest roller coaster. 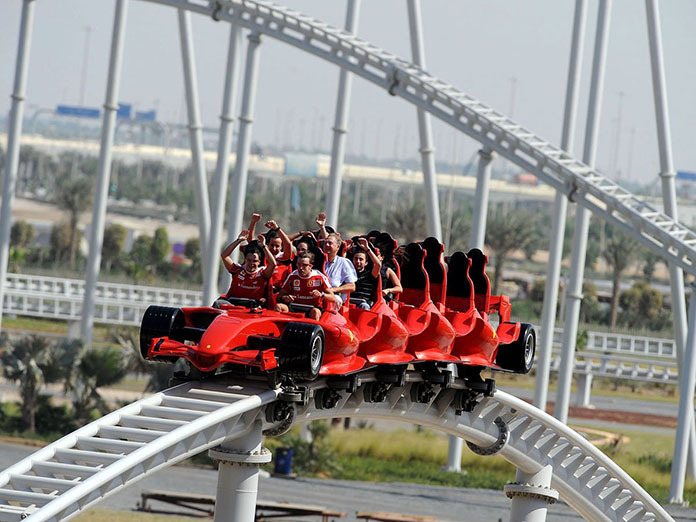 As expected, this huge attraction is located in Ferrari World Amusement Park in Dubai. It was built and designed by Ferrari, and it will make you feel at one of their cars in Formula 1. This wonder of speed reaches the chilling number of 240 kph (149 mph). It submits your body to a force of 4.8 Gs, to get it straight, the G force that a body can normally support is around about 5 Gs, that is, this roller coaster will take you to the limit of human capacity. 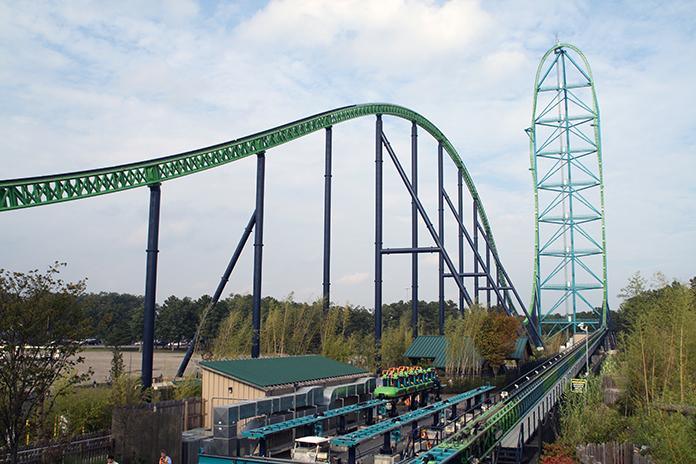 Kingda Ka, the highest roller coaster in the world. The fastest roller coaster in the USA was built in New Jersey, and the highest in the world. It is located in the Amusement Park Six Flags Great Adventure, and it has some really amazing features. For example it goes from 0-206 kph (128mph) in just 3.5 s, exceeding almost any racing car, certainly a feeling that you have to feel, at least once in a lifetime. But this roller coaster is not on our list thanks to its acceleration, but thanks to its height. At the highest point you will reach 139 m (456 feet), and not surprisingly, then you have to go down in a vertical fall of 127 m (418 ft). It is without a doubt worthy of being the highest roller coaster in the world. Dodonpa, the roller coaster with the greatest acceleration. Although this engineering work is not the fastest nor the highest one in the world, it is capable of competing with the best roller coasters for its brutal acceleration. It is located in the Fuji-Q Highland-Park in Japan, and it is capable of going from 0 to 170.59 kph (106.9 mph) in just 1.8 seconds. A brutal force will get you stick to the seat during this short takeoff, feeling how your neck supports the toughest 1.8 seconds of its existence. Steel Dragon 2000, The longest roller. Do you think roller coasters are very short? 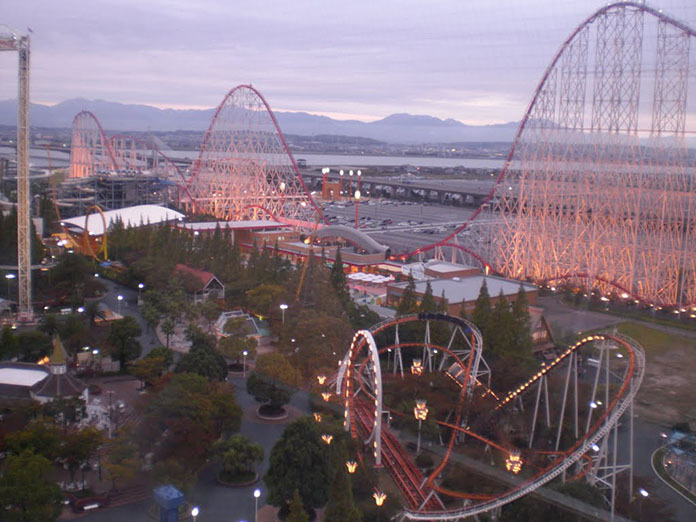 You have to try this exciting attraction, with its 2,479 m (8,133 ft) it has become the world's longest roller coaster. 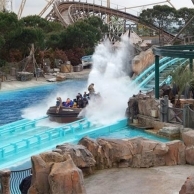 It is located in Japan, Nagashima Spa Land Park, and it has a sad story that restrains some fearful ones from visiting it. It was inaugurated in the year of the Dragon, believing it would enjoy some "good luck", but it was all the opposite, an accident caused this attraction remained closed for several years, and it discouraged some who hoped to feel its long and steep slopes. But it doesn't matter, it is now open again and for those who are brave enough it will prove to be an unforgettable experience. Do you dare to get on the best roller coasters on the planet?